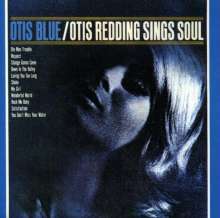 Der Artikel Otis Redding: Otis Blue: Otis Redding Sings Soul wurde in den Warenkorb gelegt. ROLLING STONE ALBUM GUIDE ***** "With 'Otis Blue', he achieves his first masterwork. "Respect" becomes not only soul standard but a black-pride anthem; "I've Been Loving You Too Long (to Stop Now)" may be Otis' strongest ballad; the assertiveness of B. B. King's "Rock Me Baby" and Sam Cooke's "Shake" finds him as at home with blues and rockers as he is with ballads."